Contrary to popular belief, direct mail is anything but dead. In fact, it turns out to be a great way for small businesses to reach out to consumers. 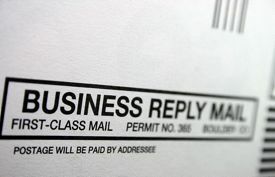 Direct mail offers some distinct advantages over email and other electronic marketing techniques. What’s so special about direct mail, and how can you put it to work for your business? Direct mail is cost-effective. With a postal mail campaign, you’re entirely in charge of the size and scope of the program. Depending upon the size of your campaign, direct mail can put you in touch with your target audience for about $1.00 per piece. You can even use your professionally designed mail pieces over and over for maximum results. Direct mail is targeted. You can precisely target your audience. Whether you’re announcing a new business, making a special seasonal offer or reaching out to customers locally or far away, direct mail can offer you the benefits of targeted advertising with a better reach than electronic advertising, and at a cost that’s competitive with pay-per-click. Research also shows that mail is most often opened the day it is received. Unlike electronic advertising campaigns, postal mail doesn’t get blocked, and it doesn’t get ignored. Direct mail is flexible. You can send just about anything as a direct mail piece. Postcards, letters, brochures, booklets – even product samples – can be sent using postal mail. Putting product samples or promotional items in the hands of prospective clients is one of the best, most cost-effective ways to capture new business. With postal mail, you can reach out to your target audience, knowing that your mail piece will reach the recipient. Direct mail response is measurable. Measuring the impact of your mail piece is as easy as … well… counting! Once you send out your mail piece, you can simply count the replies. Inquiries, phone calls, reply mail, website visits and other means (like special promotional codes) can all help measure the effectiveness of your direct mail campaign. Direct mail is flexible enough that you can test different campaigns to gauge which ones resonate best with your target audiences. If you would like more information about direct mail campaigns, designing a professional mail piece for your business, or using postal mail as an advertising vehicle, please contact our Creative Director, Dave Ramsell or give Dave a call at (330) 243-0651 to set up a consultation.